Exciting News of our recent Travel & Hospitality Award - Location of Excellence! We have received the 2018 Travel and Hospitality Industry Award for 'Best Location’ in Cumbria and the Lake District. We are delighted and proud to have received this recognition of our stunning location. You can never tire of seeing the unique Herdwick lambs, born with black wool, which then changes to brown, then grey, then white over a number of years. Most ewes have twins and it’s wonderful to watch them frolicking in the fields. Spring is a fabulous time of year in the Lakes. Hardknott Cottage is the largest of our four one bedroom cottages and with a double height ceiling for much of it and a beautiful and unusual galleried bedroom, it is definitely the most voluminous! A fabulous new kitchen, huge Italian leather sofa, quality honey oak Karndean flooring and a new bathroom with P shaped bath compliment the super comfy 5 star quality bed with matching luxury linen in the galleried bedroom. 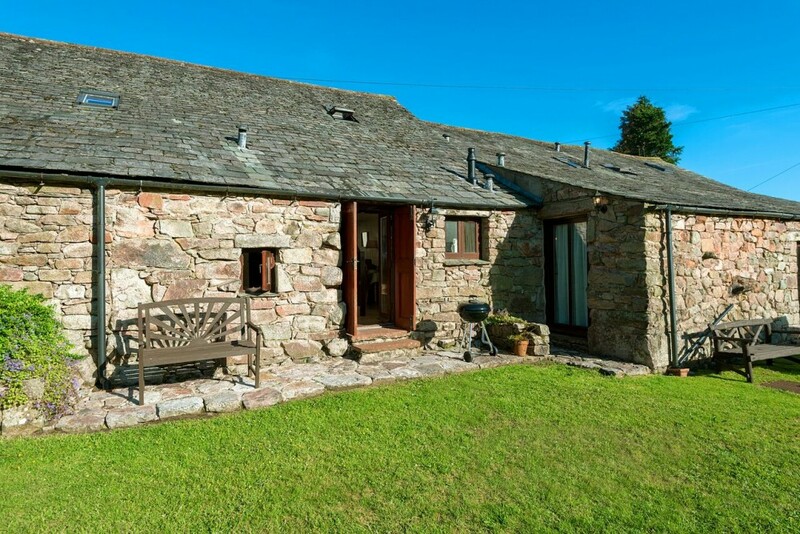 There are great views of the fells from within the cottage and you can simply step out the back door onto the patio or into the garden to admire the fells rising above Boot. There is wooden garden furniture and a new Weber barbecue for you to use. Hardknott Cottage has one bedroom but we can put a fold away bed and/or cot in there for families with young children. Equally a third adult could use the fold away bed, which can be put in the bedroom or lounge. Come and try it…. We know you will love it….